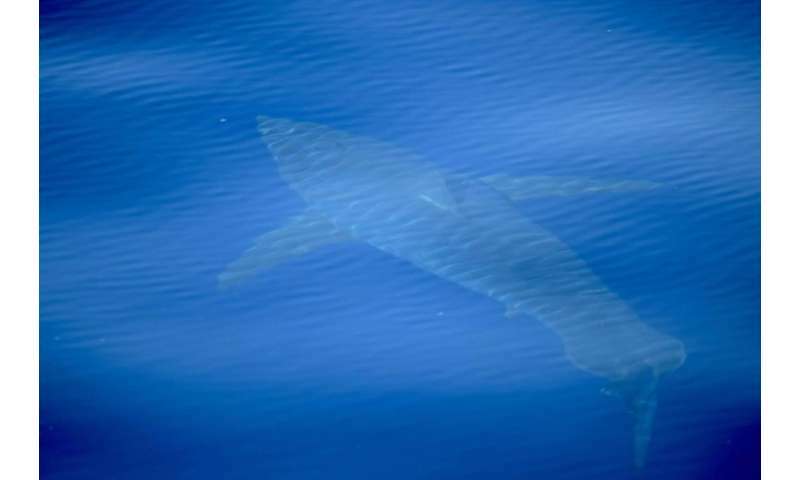 A great white shark was spotted in waters off Spain's Balearic Islands this week in what is the first such sighting by scientists in at least 30 years, a marine conservation group said Saturday. The Alnitak group captured footage of the shark, which it said was five metres (16 feet) long, on Thursday in the seas off Cabrera island and followed it for over an hour, it said on its Facebook page, posting a picture. "In the past years there have been possible unconfirmed sightings and various rumours, but this is the first scientific verification of the presence of a Carcharodon (great white shark) in Spanish waters in at least 30 years," it wrote. Alnitak said the shark was spotted as scientists were on a mission to get information on sea turtles, sperm whales, dolphins, manta rays and red tuna. The team is also looking for the presence of tiny pieces of plastic debris in the sea.